While the students are involved in “craftivities”and other before break assignments, capture the moment. Be a part of it all. 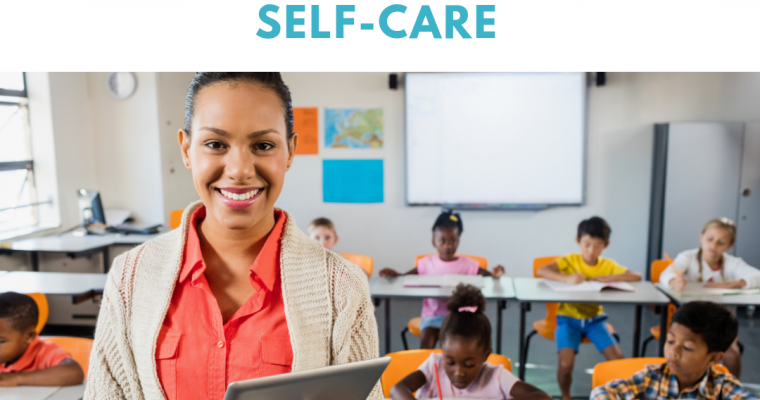 Allow yourself to have a good time in these classrooms. During this time, it is important that you stay connected to teachers, students, and the school. 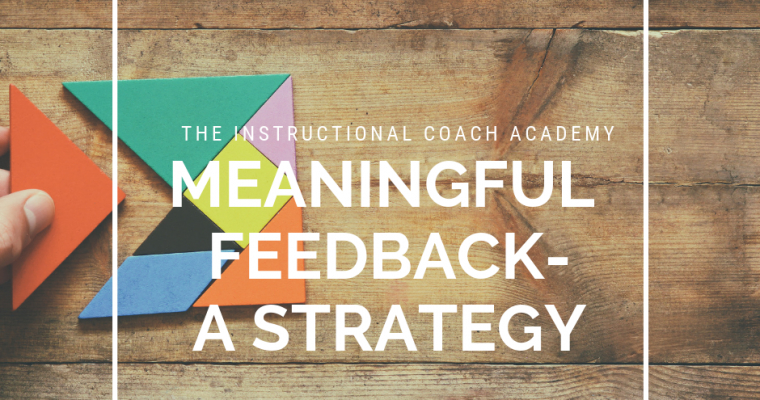 It is easy during this time of year to venture off into your Instructional Coach Island and do your Instructional Coach work. That work will eventually get done. However, in the meantime, go see what is going on throughout the rest of the building. I am sure that after Winter Break, you will be back on and ready to go. This is the time ultimately to be prepared. 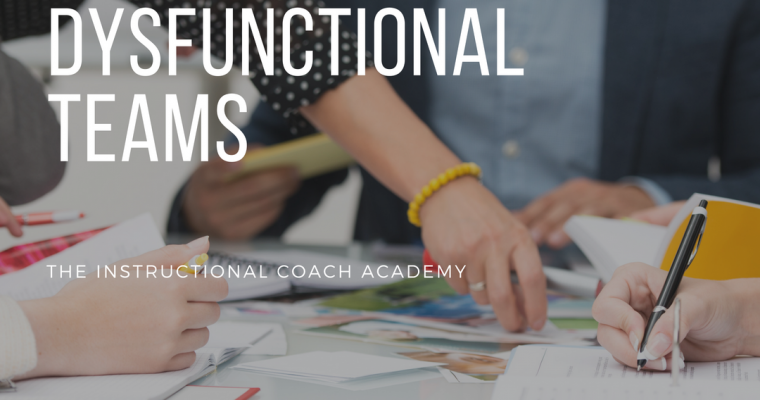 Make sure your professional development is planned, your data meeting materials are prepared and you are ready to tackle the rest of the school year with ease. 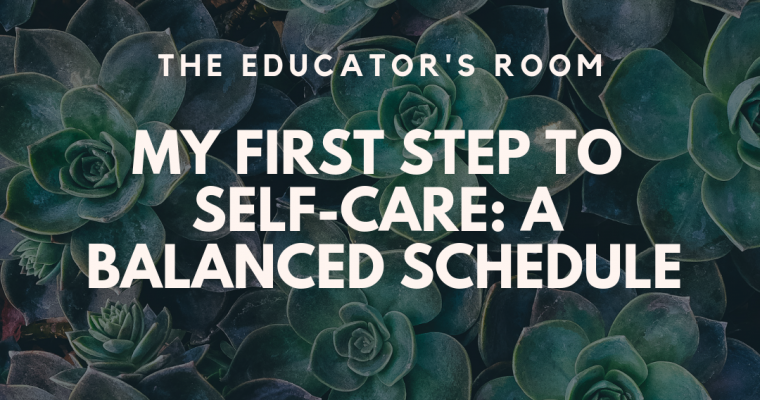 No one wants to have to do work over break because that would infringe on your self-care. I do not know about you, but during thistime of year, I miss being in the classroom. I want to teach lessons and interact with teachers and students. This is the perfect time to give the gift of time to your teachers. This allows teachers to get some “free time” and get a break while you “cover their class.” They need it. This just might even land you a “Coach of the Year” trophy. Well maybe not a trophy, but they sure will appreciate it! This is the best advice that a coach can give another coach during this time of year and here is why. You will be asked to cover classes, stand in hallways, check parents in, check parents out, and any other extra duties that may come up during this time. The truth is you are needed. You have to be as flexible as possible. This is a time when you may think this is not in my job description, but this time of year your help is needed. Be flexible. As we all know with being in education, being flexible is in your job description. Use this time to reflect on your year so far. Write down at least three professional goals for yourself and the work you want to do in 2019. Ask yourself what are some things you can improve upon and some areas you are going to continue to grow in. Celebrate the successes you have made and make some next steps for yourself. 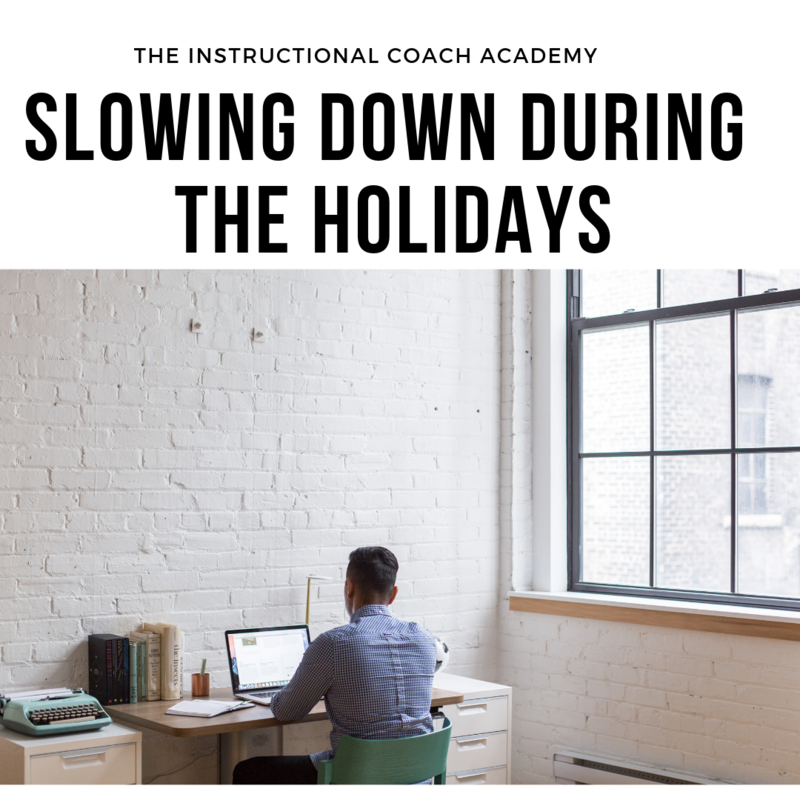 This time of year use this calmness and quietness before winter break to allow yourself to breathe, plan and get ready for 2019! 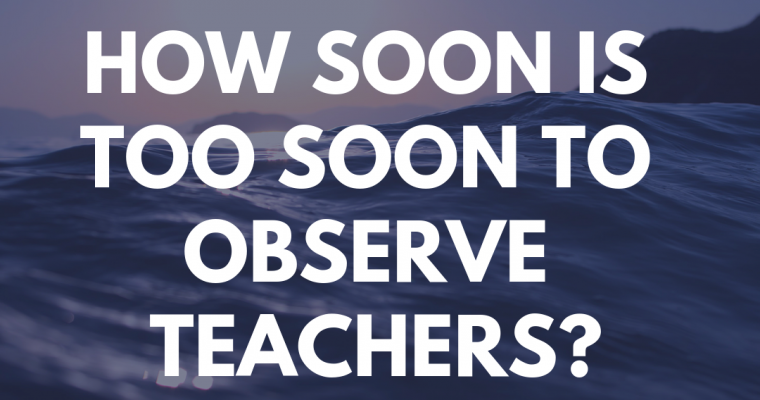 How Soon Is Too Soon to Observe Teachers? People talk. They gossip. They gripe about their colleagues. As a coach, I feel like I hear it all. To be successful, though, I can’t participate, no matter how tempting. It isn’t because I don’t enjoy gossip. And certainly, it isn’t because I have no gripes. One of the things I focus on establishing with my teachers is that they can tell me anything without worrying about privacy, judgment, or negative consequences. To preserve the relationships I am building, I must be a vault. The black box. Information goes in raw and comes out not at all. It is incredibly lonely to only listen. It is exhausting to choose my words carefully with everyone. It is depressing to hear accounts of terrible teacher behavior. It is delicate work to determine what action, if any, to take in response. Developing appropriate responses to gossip and gripes is an ongoing challenge. Often, gossip is an avoidance tactic. Teachers who gossip about others are generally attempting to avoid focusing on themselves. Those in this category are often unwittingly revealing insecurities about their professional acumen. 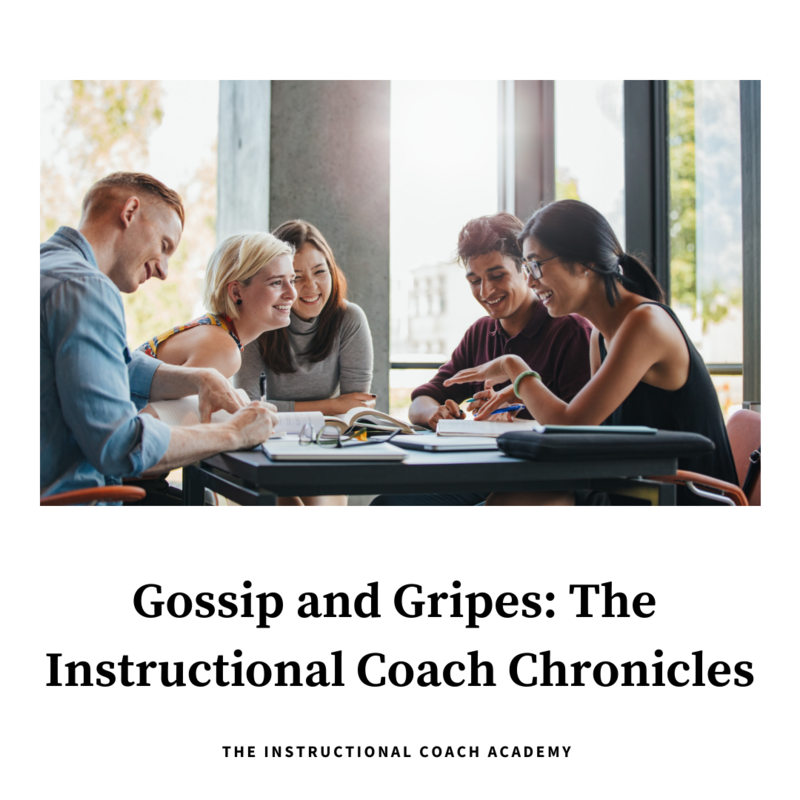 When I recognize a teacher using gossip to stall, I can more easily put aside any irritation I might feel. Other times, I simply listen and hold my tongue. There are people who use gossip to build connections with others and establish a personal relationship. Those same individuals are often also testing the trustworthiness of the people in whom they confide. When teachers complain about each other’s professionalism, I find that trickier to manage. It irritates me when teachers tear each other down. Criticisms that are unjustified are especially irksome. The best I can do in those circumstances is to express surprise and offer counterexamples. Criticisms based on legitimate concern are tough. Generally, I work with the teacher speaking to try and see things from a different perspective. Then I try to ensure I work with the teacher who is struggling on those areas that are problematic. I took a deep breath and said as calmly as possible, “Maybe she does and it rightly fuels some sense of self-righteous superiority.” Both women paused, looked at each other, and then one said, “Well, that’s counterproductive!” I agreed and asked them what they could try instead. There was some grumbling. I gave them a choice “Put some extra effort into finding ways to work with her, or expend that energy being irritated.” Despite the continued grumbles, they conceded that being irritated wasn’t working well for them. Being so direct is always risky, but I know my teachers fairly well by now, and I felt confident a more direct approach was an appropriate course of action. Still, though, I worry. What if I had been wrong? What if this teacher’s behavior becomes even more egregious. How much griping can I take? How do I help this teacher? Gossip and gripes are inevitable with any group of people. Navigating them as a coach is tough. I wish I could wave a magic wand and make the ick people spew about each other go away. I don’t know if I always handle it in the best way possible. All I can say is that I try. I try to be the black box. I try to create and nurture relationships.